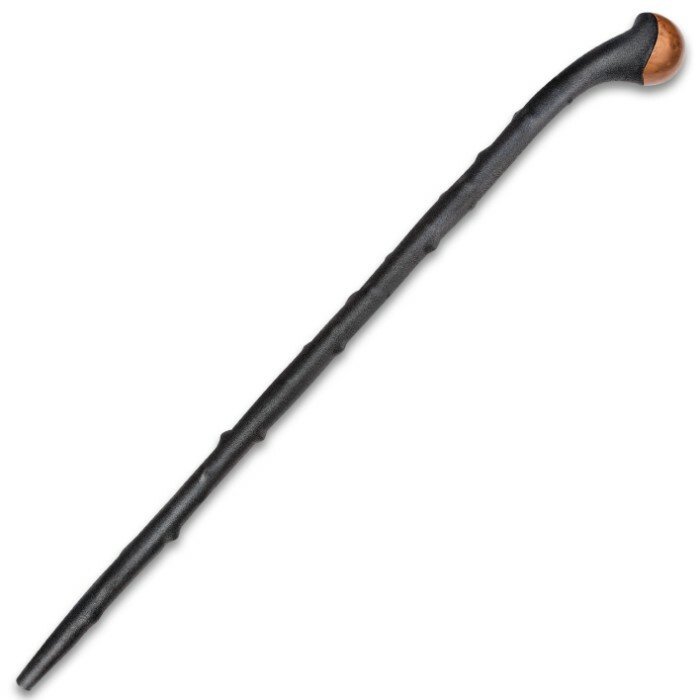 Traditionally, a shillelagh is a wooden walking stick most often crafted of blackthorn wood and largely associated with Ireland and Irish folklore. According to tradition, shillelagh sticks were also intended for use in self defense and resolving disputes in a gentlemanly Irish manner. 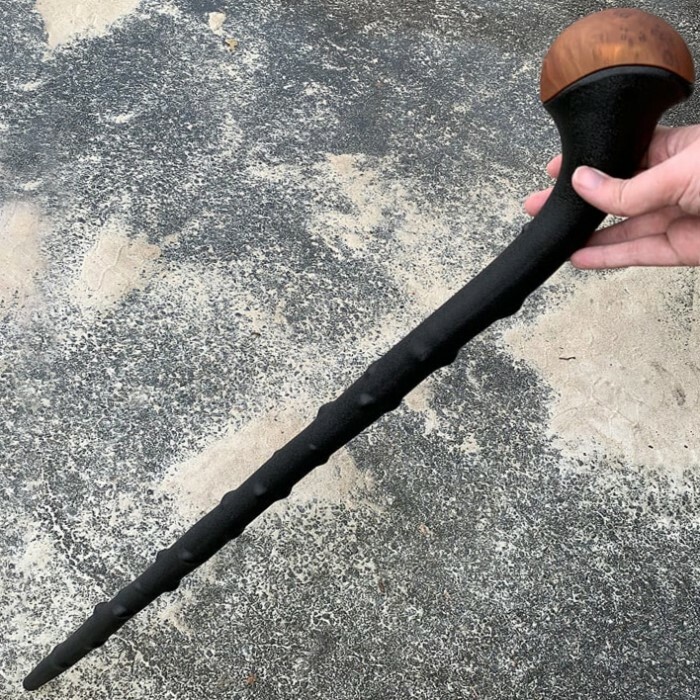 This exquisite interpretation brings the shillelagh sticks of Irish folklore to life in the 21st century in a realistic and affordable replica. 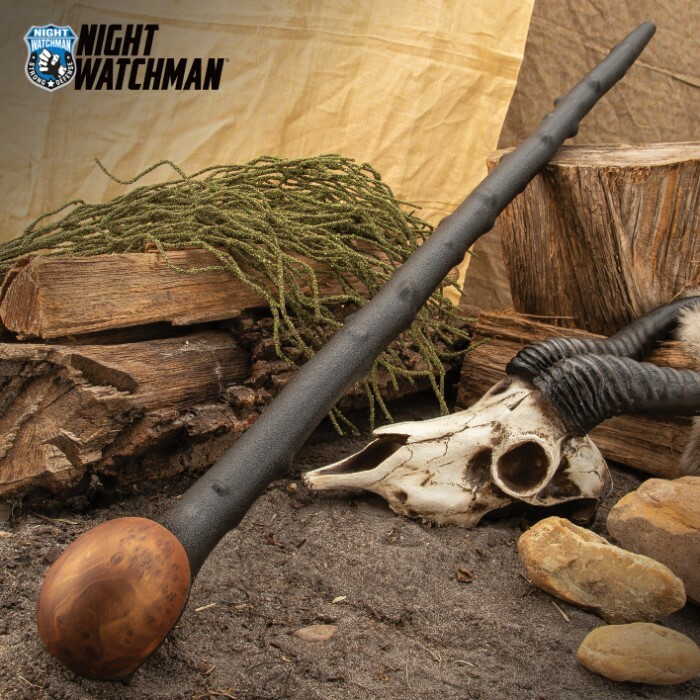 This blackthorn shillelagh fighting stick features molded polypropylene construction built to look like the real blackthorn wood shillelaghs of yesteryear. The knotty designs built into the shaft give this replica an authentic look and feel, and the faux wood cap gives it just the right amount of elegance. It's a traditional size at 37" in overall length. I have waited years to get this cane, and I have to say that I love it!!! I would highly recommend it! I am very pleased with all the aspects of the Shillelagh. Followed comment by Howard Handy and coated faux wood cap with a protective coat of poly sealant. Been watching 'stick fighting' videos on Youtube. 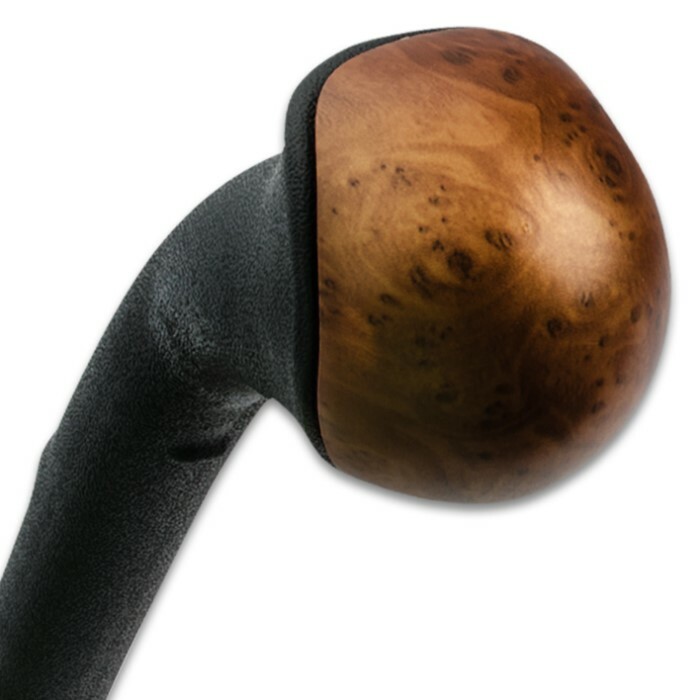 Walking stick is well made, nice looking, will last for my lifetime. Also went to pharmacy and got a rubber tip for canes/crutches to protect the end. I've been waiting for years to have a chance to order this cane. I have to say, it has exceeded my expectations!!! It's light weight and very sturdy. I would definitely recommend it to anyone who needs one!!! But definitely get a cane stopper for the bottom, it will slip on smooth surfaces! He has some issues with his left leg I bought it for him as a walking stick/just in case weapon as he is 68. You never know. He said it took a little getting used to the shape of the handle. It has a nice weight and could do some damage if needed. Also needed to add a rubber tip for grip. He said he gets a lot of double takes as it is different. Great defense stick! Nicely made and good lookin too! 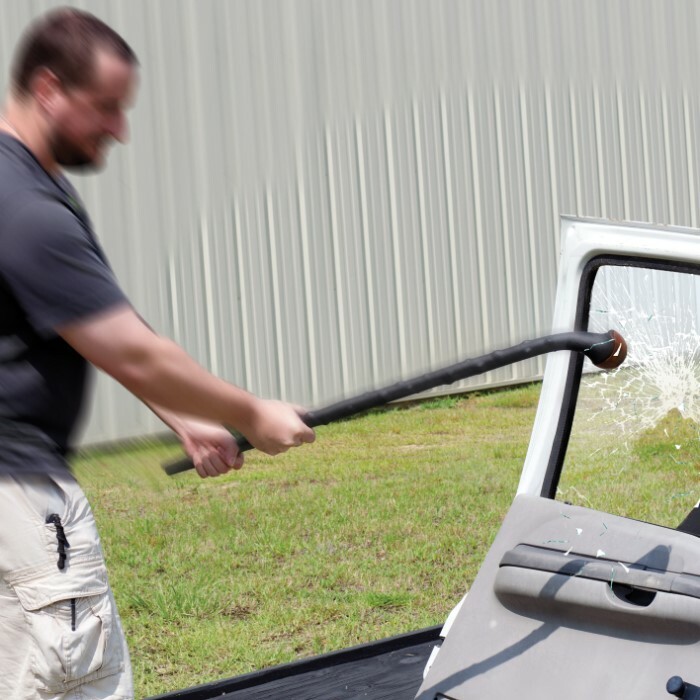 This is no cheap plastic toy, but rather an indestructible combat tool. Don't think you'll be able to cut, bend, or break it c: and, as my dad used to say, there aren't many problems that can't be handled with one or two strikes from a good strong stick.